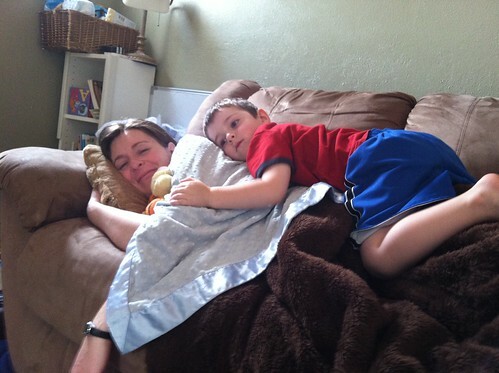 This little boy has quite the tender heart. He always prays for “Mommy’s back to feel better,” gives me impromptu back rubs, covers me with his special libbit and asks if that helps. He’s also declared he’s “Dr. Boots” and cared for me. 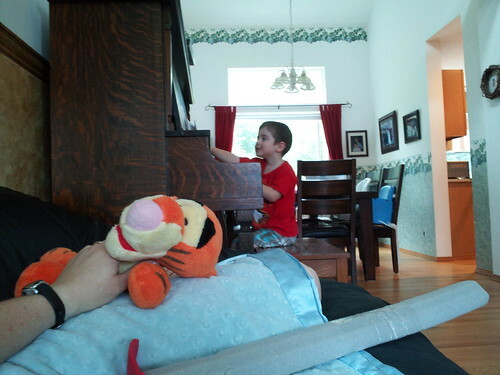 Once he gave me his favorite buddy and libbit and then played the piano for me. I didn’t realize my boys and I could love each other more than we did before this pregnancy, but we do. Somehow, in a way I’m sure only God truly understands, this difficult time has drawn us closer and deepened our love. And it’s been one of my most treasured tender mercies from up above. Thank you, Heavenly Father. It’s helpful to have a doctor in the house when you need him (just don’t give him a pizza cutter :-).